New CD - The perfect gift. Enjoy audio samples here! Born in 1984, in Havana, Cuba, Jose studied flute and piano at the Alejandro G. Caturla and later at Amadeo Roldan Conservatory. His flute professors at this time were Erasmo Lopez and Floraimed Fernandez, both members of the National Symphony Orchestra, Ballet and Opera Orchestras. 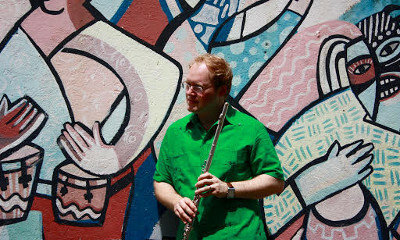 During this period of study, he received Second Prize in Amadeo Roldan's National Flute Competition (1997) and First Prize from the National Union of Artists and Writers of Cuba in their Woodwind Competition in 2001, performing with the National Symphony Orchestra conducted by Jorge Lopez Marin. Jose has given chamber music concerts with the violinist Evelio Tieles and Havana Player's Ensemble at the Auditorium Amadeo Roldan and Basilica Menor de San Francisco de Asis in Havana. He was also invited to be part of the Bach Festival 2002 in Havana giving concerts in a variety of venues such as National Theatre "Garcia Lorca" and Caturla's Concert Hall. After auditioning in London, England, Jose was offered places at the Royal Academy of Music, Royal College of Music, Trinity College of Music and Guildhall School of Music and Drama, the latter offered a full scholarship for the Bachelor of Music Degree which Jose accepted and commenced in 2003. After completion of this degree in 2007, Jose was kindly supported by the Society of Knights of the Round Table and the Innholders' Company to continue his studies at the Guildhall School of Music, in the Masters Programme (Orchestral Training). During his time at Guildhall, with Philippa Davies as his main professor, Jose enjoyed training under other eminent players such as Sharon Williams, Ian Clarke, Sarah Newbold and Sam Coles. He also played with Guildhall Symphonia and Wind Orchestra conducted by Gordon Hunt, Joseph Wolfe and David Corkhill and with the Guildhall Symphony Orchestra conducted by Sir. Colin Davies, Sian Edwards, Paolo Olmi and Christopher Seaman. Whilst a student he was invited to play with the Morley College's Orchestra and the Eureka Foundation Orchestra. During this time Jose also founded Vientus, a wind trioand gave concerts at his Conservatoire, various churches across the UK and in Tarragona, Spain (Pretori Roma). 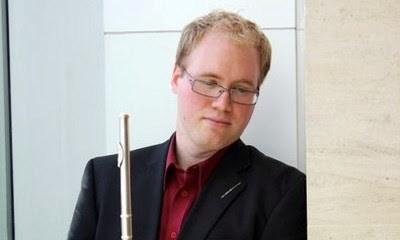 As well as this he accepted numerous invitations to perform in festivals such as Glasgow Cathedral Music Recital Series (2006), Seville Music Festival, Spain (2006), Belgrade Music Festival, Serbia (2007), Winchester Music Festival (2008), Frome Young Musicians Recital Series (2008), and Paxos International Chamber Music Festival, Greece (2008). Jose was accepted as a member of the National Youth Orchestra of Spain (2006-2007) and as an extra player for the National Welsh Opera. Finally, on completing his Masters, Jose was chosen to be part of the 2008-2009 Foyle Future Firsts Training Scheme with the London Philharmonic Orchestra and also given a place with the Southbank Sinfonia with whom he has enjoyed many exciting opportunities to play an extremely varied programme in a variety of venues across the UK. Jose has performed several times as Principal and Sub Principal with the BBC National Orchestra of Wales and is currently teaching at Surbiton High School and Highams Park School. 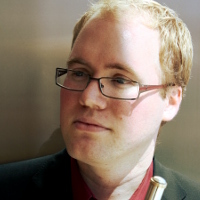 Jose currently runs a successful Cuban music workshop series which he has taken to the Royal Welsh College of Music and Drama, Oxford Flute Summer School, Philippa Davies International Flute Summer School and The Scottish International Flute Summer School. Led by Cuban flautist Jose Zalba-Smith, The Mañana Collective is a powerhouse of latin rhythm, playing Cuban and Brazilian music together explosively. Formed in 2007, Tradicional Cubano specialises in authentic Cuban music. Bringing to life the most vibrant and iconic musical sounds from the wonderful Caribbean island. Bringing to life the great works by the legendary Argentinian Astor Piazzolla, Three To Tango is the perfect choice to spice up your special occasion. Wedding, parties and functions - let the tango spirit flow! 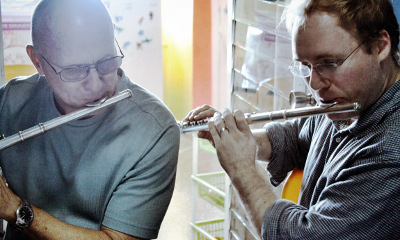 Bringing together the best of both Classical and Cuban musical worlds, the duo's electrifiyng and unique performances make them an excellent combination for recitals, masterclasses, events and educational projects. Don't hesitate to get in touch, you can either use the form here or the contact details just below if you prefer. I will try and respond to all enquiries as quickly as possible so get in touch to discuss an exciting collaboration.